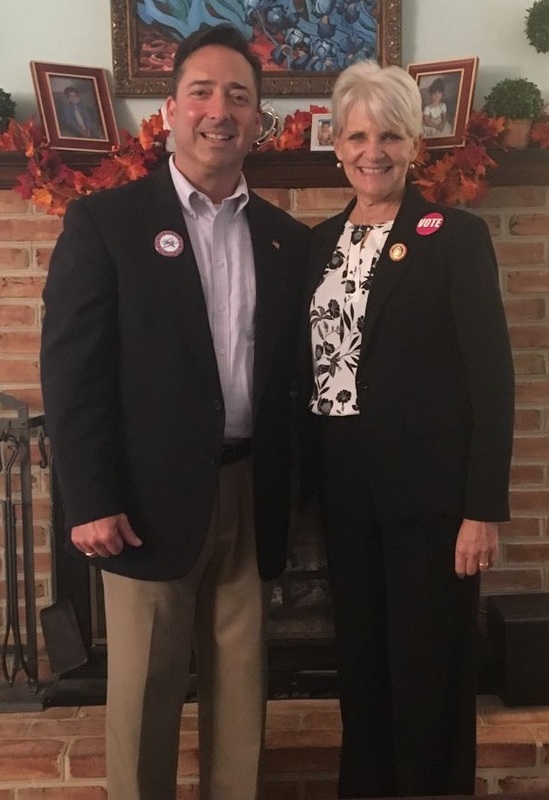 “It is with great pleasure that I announce my endorsement of Chris Pielli for Recorder of Deeds. Chris's long and impressive record of public service and his ongoing work as a West Goshen Township Supervisor shows he is the type of community leader and public servant Chester County needs. It’s been a great week and YOU made it happen. Let’s continue the good work in 2019. Our next meeting will be January 24th in the Township Meeting at 7pm. YOU DID IT, EAST GOSHEN! East Goshen elected Democrats across the ballot! On a cold, rainy November day you braved the weather to come out and be heard and you were rewarded. The turnout was historic and when the rain cleared we saw brilliant skies, beautiful rainbows and much-deserved victory. Every Democrat on our ballot won yesterday. Across Pennsylvania, Democrats achieved unprecedented victories. Senator Casey, Governor Wolf and Representative Comitta have all won another term in office. 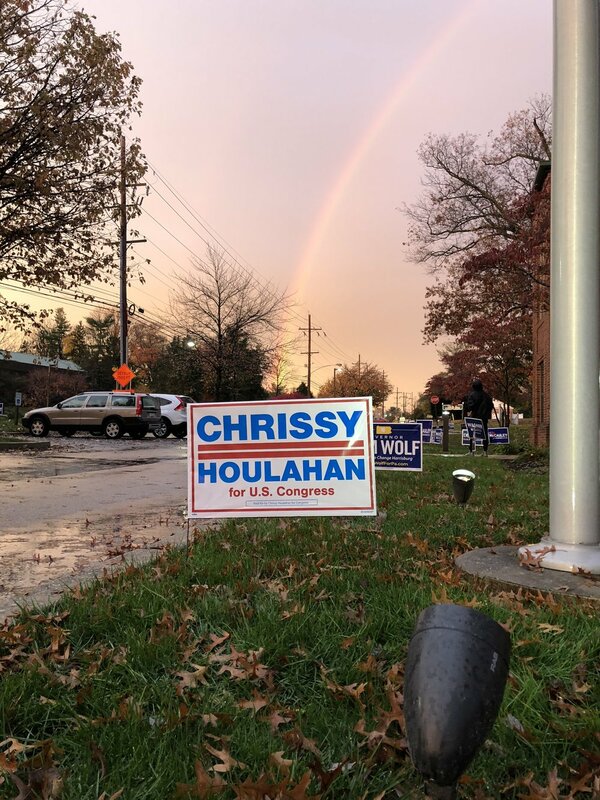 Chrissy Houlahan is now the first woman to represent PA06 in Congress. An amazing and well-earned victory! All of the Democratic candidates won in East Goshen. East Goshen voters are only about one-third registered Democrat, but they voted blue yesterday! It’s a rebuke of Trumpian politics and an embrace of what we stand for: Truth and Progress. Chester County had 66% voter turnout yesterday, which is incredibly high. HOWEVER, East Goshen topped it with more than 70% turnout! I hope you’ll come to our next meeting on Thursday November 29 at 7pm in the township building. It will be a celebration of hard work. Thank you all for your support. Our coming together has made a real difference in our community. 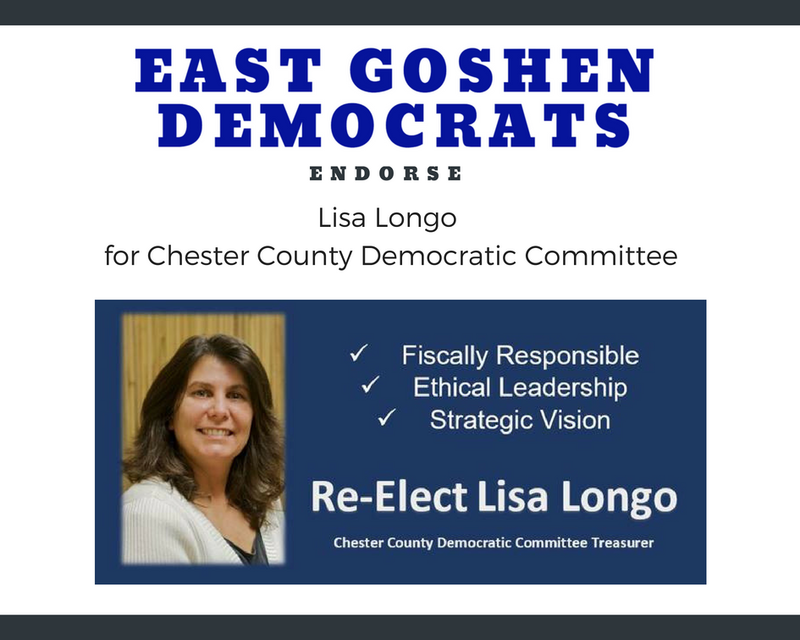 We are proud and grateful for East Goshen Dems. This is just the beginning of what we can accomplish together. Want to Take Action? Join us! Your Democratic party is working hard this summer. 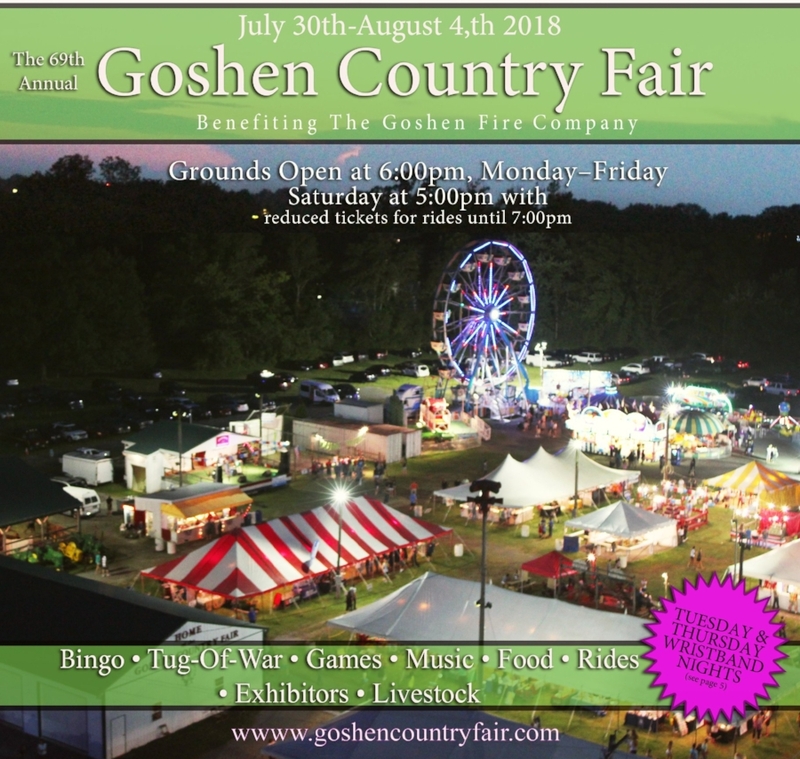 You can find us at the Goshen Country Fair. Please stop by for balloons and lawn signs. We will also be campaigning for our candidates. Please join us in canvassing for Chrissy Houlahan. If you've never canvassed before it's a lot of fun. You get out and meet fellow Democrats in your county. Team spots now available in Malvern, Phoenixville, Exton and Kennett Square. If you're not able to canvass please consider phone banking. 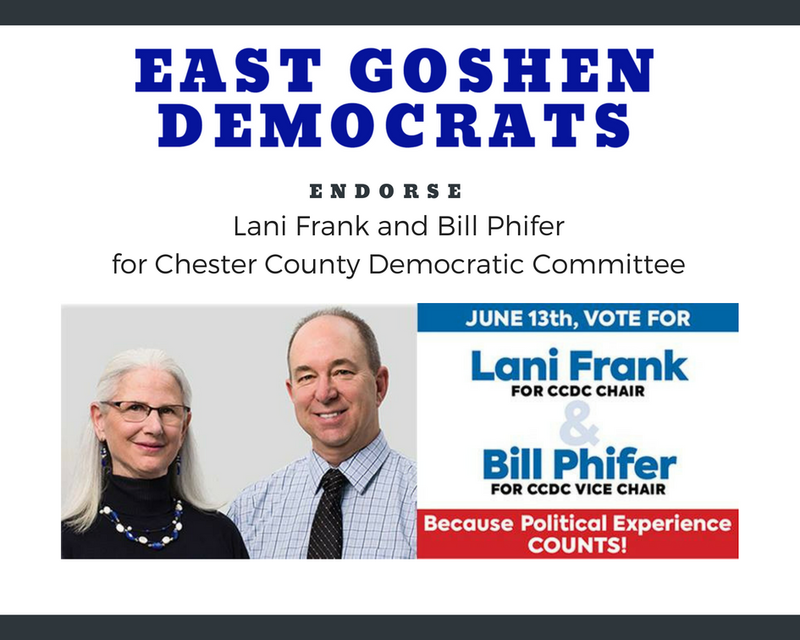 Your Committee People have voted to endorse Lani Frank, Bill Phifer and Lisa Longo for Chester County Democratic Committee leadership. Head to Lani Frank for CCDC Chair Facebook page for more information about their campaign. May 15th Sample Ballots & Candidate Info Here! Election Day is May 15th. Below you'll find information on the primary candidates that will be running on your Democratic Ballot. You'll also find a new link in our navigation that will take you to sample ballots for your voting location. Your Committee People will be at the polls on Election Day with hard copies. As your committee people, we do research on your behalf and our sample ballots include our endorsements, as well as the CCDC endorsements, highlighted for your reference. We encourage you to stop at our table before you vote. We would be happy to talk with you! For more information on this question please see East Goshen Township website. Your Committee People are currently engaging in the petition process. This is the time of year when they are gathering signatures to be put on the May primary ballot. Your fellow local Democrats need your support in getting there, so please help with a signature. We've accomplished so much this year and we have big plans for 2018-2019! Please join us on March 1st at 7 pm in the Township Building. You can meet your zone's representative and there will also be a time set aside for petition signing. Your Committee People are anxious to meet you. And if you'd like to be more involved, we are more than happy to have you! This week has already been a momentous one! We have officially seen the swearing in of our very first Democratic East Goshen Supervisor in the history of our township. Thank you to everyone who came out to bear witness to the event and say hello. Our community showed up in great numbers to support of their newly elected official. David Shuey being sworn in by Judge Tom Tartaglio. And today, Chester County swore in not just its FIRST Democrat in a row office since its founding in 1682, but FOUR outstanding Democratic women who swept the November election! 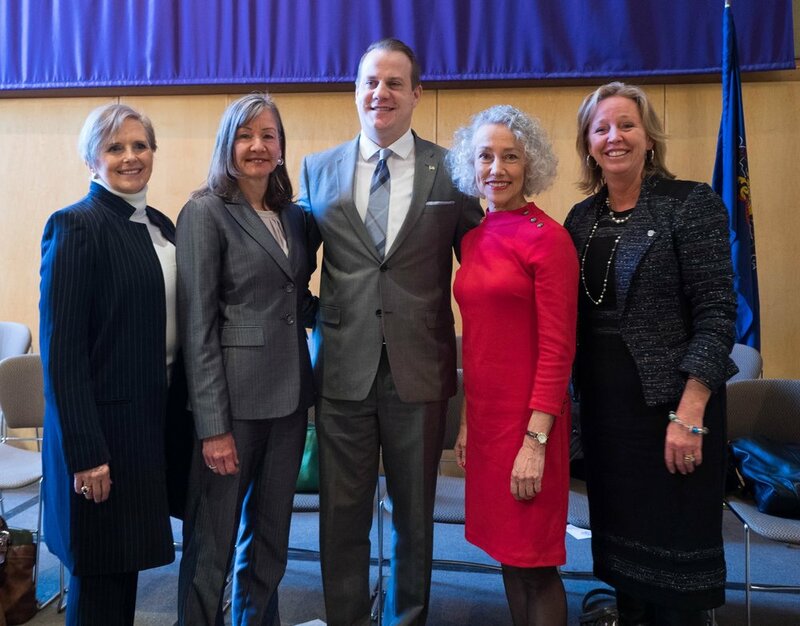 Congratulations again to Treasurer Patricia Maisano, Clerk of Courts Yolanda Van de Krol, Coroner Dr. Christina VandePol, and Controller Margaret Reif. 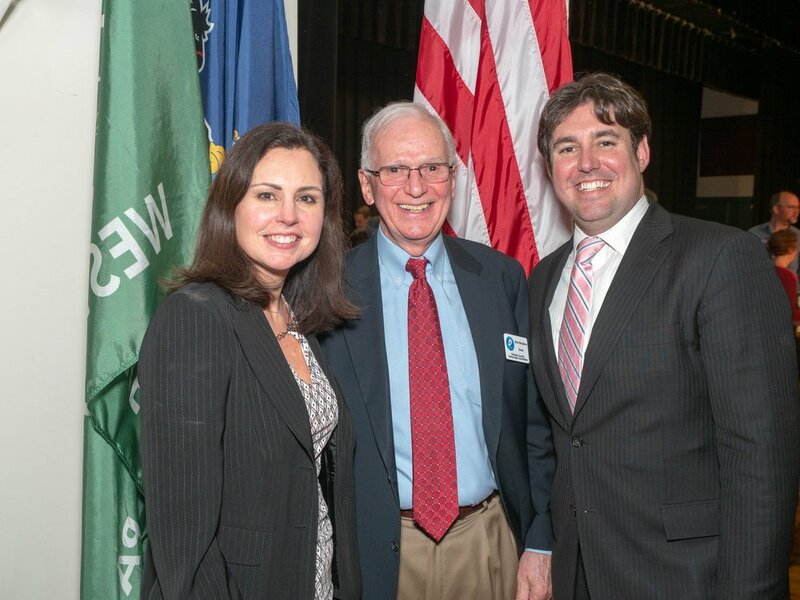 Seen here with Brian McGinnis, chairman of the Chester County Democrats. Thank you to everyone who braved the freezing temperatures to celebrate these events. Together we can make sure this Blue Wave never slows down! Stay warm and stay current by visiting our Facebook page. The East Goshen Democrat Committee invites you to attend the Township Supervisor Meeting on Tuesday, January 2nd to witness the swearing in of David Shuey, the first Democrat elected to the board. The meeting will be at 6 pm at the Township Building on Paoli Pike. We would love to see you there so we can thank you in person for coming out to vote this November. Happy New Year! May 2018 bring a wave of change that benefits everyone. Congratulations everyone! You elected the most qualified, principled and dedicated group of public officials. David Shuey wins East Goshen Township Supervisor, the first time an elected Democrat has ever held this position. David ran a stellar campaign and came in first out of three candidates. His dedication to the many troubling ME2 pipeline issues, his fact-finding trips to Harrisburg and canvassing the township proved that knowledge is the basis of a winning campaign. And if that was not enough good news... we had a first-time historic Democratic sweep of county row offices. 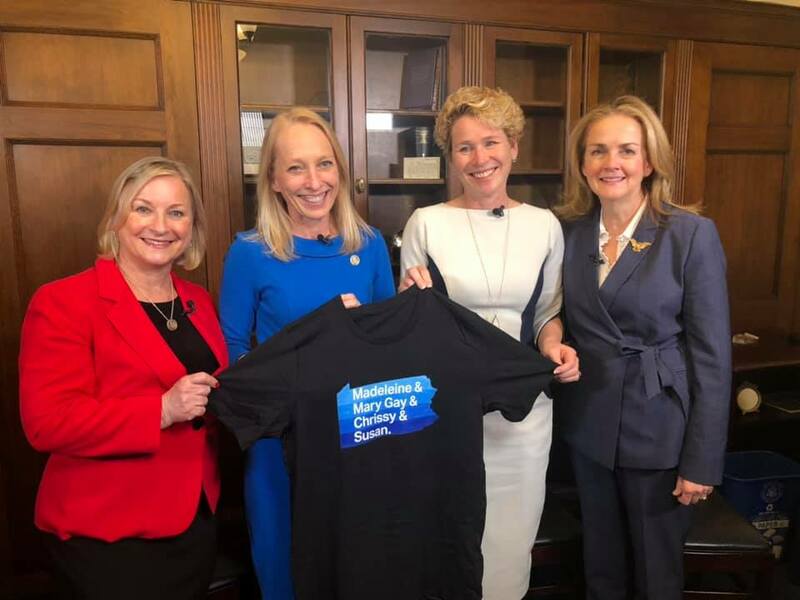 The FIRST FOUR Democrats ever elected to county row office in Chester County, PA since its founding in 1799... and they are all women. Chester County Dems said it best, "What is so important about the row office results is not just that Dems finally have a seat at that table, but that the public interest will be advanced by an overall set of countywide officials who represent the diversity of the county—including these 4 highly talented and dedicated professionals." It was a big win for the Democratic Party across the board this November 7th. Here in East Goshen, we watched as our candidates introduced themselves to each and every voter, took time to explain their platforms and listen to voter concerns. It was a long, hard campaign and now everyone is eager to... rest? Absolutely not. They are itching to get to work. As it has always been here in our corner of Pennsylvania, we are anxious to work together to make this township safe, profitable, equitable and the perfect place to live. As for the Democrats who came out and showed up for your party, we thank you! We're going to need you to stay involved to have the greatest impact on future elections. Please come say hello at our next public meeting at the Township Building on November 30th at 7pm. Here are the still unofficial results which also include judges of Superior and Supreme Court. More updates as they become official throughout the following days. Let's talk about the Candidates! 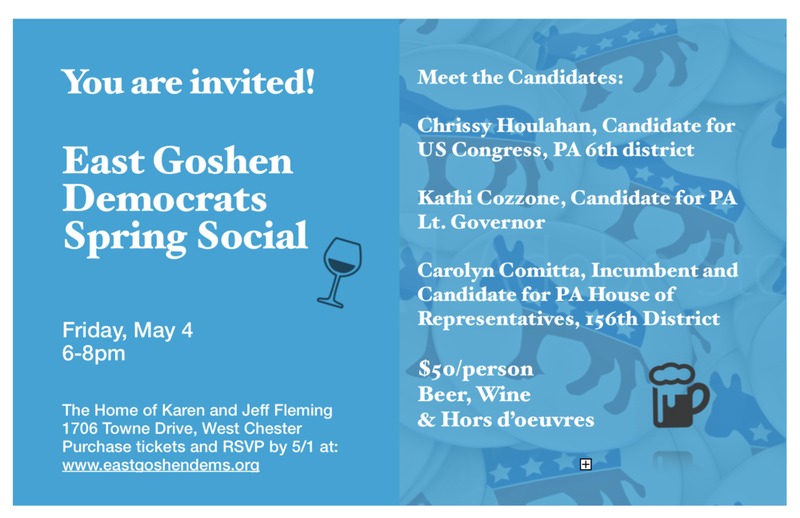 It's time to get to know your Democratic candidates, East Goshen! Follow them on Facebook and Twitter and get to know them before November 7th - Election Day. You can find all their website and social media info here. 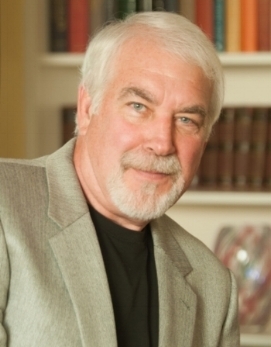 And you can find David Shuey, our endorsed candidate for East Goshen Township Supervisor here. What an election this was! Thank you to each and every one of you who showed up at the polls and voted. A big thank you to those who introduced yourselves to your committee members and signed up to volunteer. We are thrilled to have you on board. We'll have more details for you in the coming days, as well as some plans for tackling the future election. Historic: Democratic turnout increased 43% county-wide over the 2015 election. All our county-wide candidates won and got almost as many votes as the corresponding Republican candidates. Chester County had the fourth highest vote total for the state-wide judicial candidates, exceeded only by Philadelphia, Allegheny (Pittsburgh) and Montgomery counties.